The best way to ensure the safety of your entire family is to be prepared. Are you prepared for a disaster? Do you have a pet emergency plan? 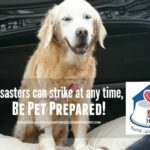 On a previous post, Be #PetPrepared Create A Disaster Preparedness Plan, I shared Hill’s Pet 7 Safety Tips To Ensure Your Pet’s Safety in an Emergency. This post is sponsored by Hill’s® Pet and the BlogPaws Professional Pet Blogger Network. 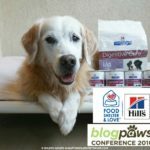 I have been selected as a Sponsored Blogger to attend the BlogPaws 2016 Conference on behalf of Hill’s® Pet, however, we only work with brands we love. BlogPaws and Hill’s® Pet are not responsible for the content of this article. Arizona also experienced a disastrous wildfire. 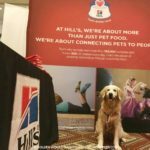 During the 2016 BlogPaws Conference, The Arizona Humane Society was a special guest at Hill’s Pet VIP luncheon event. It was discussed at the luncheon the Importance of Planning Before a Disaster takes place. Hill’s Pet encourages families to become Pet Prepared and have Emergency Go-Kits. Each Go-Kit must consist of pet essentials. Hill’s Pet Nutrition has a created a handy infographic illustrating must have items in Your Pet Emergency Go-Kit and Tips To Help Secure Your Pet’s Safety In An Emergency. Use this link, Hills Infographic Pet Disaster Preparedness, to print it out. Hill’s Pet is more than a pet food company. The Hill’s Disaster Relief Network quickly responds to disaster areas and deploy pet food resources in an emergency. Hill’s Disaster Relief Network is a one of a kind program established in 2013 as an extension of the Hill’s Food, Shelter & Love. This program has provided over $280 million worth of food to nearly 1,000 shelters. 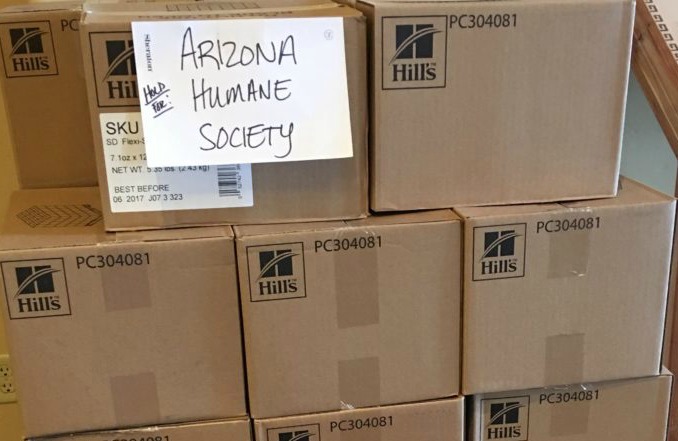 During the luncheon, Hill’s Pet Nutrition donated Pet Go-Kits to the Arizona Humane Society. The Arizona Humane Society – Emergency Animal Medical Technician program was established in 2002 as the first of its kind in Arizona and devoted to saving sick, injured, abused and homeless animals. 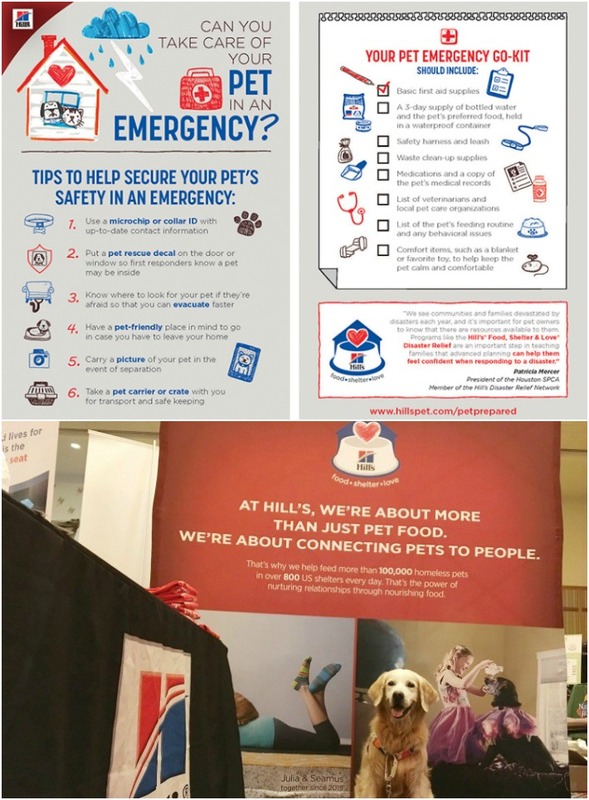 Also, I shared on previous post, Hill’s Pet #PetPrepared at 2016 #BlogPaws, everyone that attended Hill’s Pet Nutrition VIP luncheon had an opportunity to see their Arizona Humane Society emergency rescue truck. Disaster can strike at any time, Have A Pet Emergency Plan! Is your family ready for when disaster strikes? Preparation is important as there is usually little to no warning, and could likely save your pets life in a real emergency situation. Let’s Get Pets Prepped, Be Pet Prepared! To learn more about a disaster preparedness plan visit Hill’s Pet Prepared. Be informed about Hills Pet Nutrition on Facebook, Twitter, and Instagram. 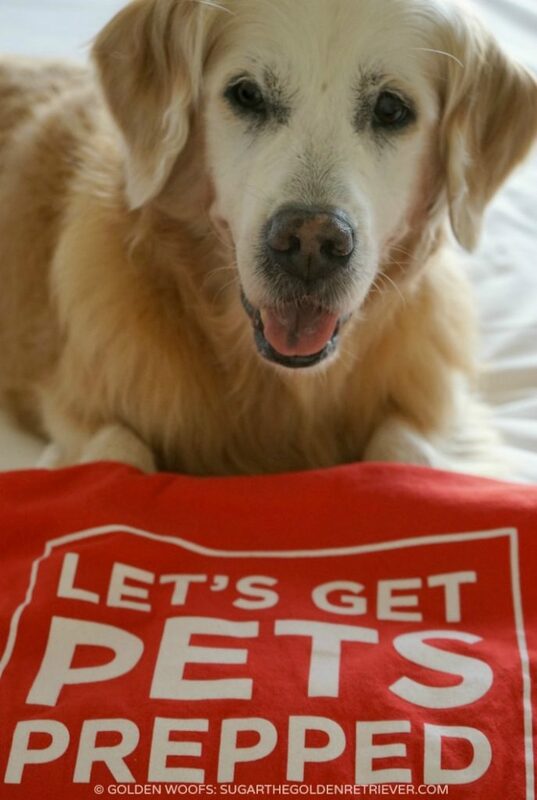 Be Pet Prepared, Have a Pet Emergency Plan and Pet Go-Kit! We are always pet prepared Sugar especially during hurricane season! Oh, and big thank you to Hill’s and their Food, Shelter & Love program for donating and for the terrierific luncheon at BlogPaws. Ma loves her Pet Prepared t-shrt! Being prepared is really important……The wild fires happening in California is devistating! Sugar what an informative post!!! Such an important reminder!! We have all of our emergency kit in 2 garbage cans in the garage!! Very important information Sugar! We have some stuffs but not enough prepared for an emergency so somemommy better get a move on! Always great to have what you need ready and available for times such as these (even though we pray we never have to use them) Great post. Great information and advice! Thanks for the post! Sugar, you were an awesome Ambassador to Hill’s at the BlogPaws conference! I was so happy to meet you and take a photo together. As a recent resident of Phoenix, AZ (I just moved back to NY) I’m grateful to Hills for helping the AZ Humane Society, they’re a great organization and Hill’s is a great company!